Between 2008 and 2014, Nolan Partners was the Official Executive Search and Selection Partner of the Sport Industry Group. 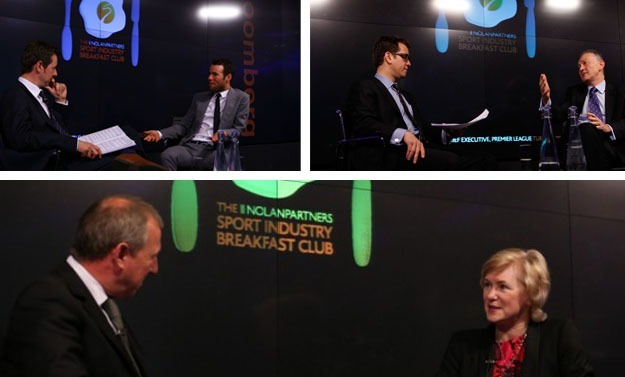 As part of the partnership, we were involved with the flagship events that come under the Sport Industry Group banner – The Nolan Partners Sport Industry Breakfast, The Sport Industry Interview and the Annual Sport Industry Awards. 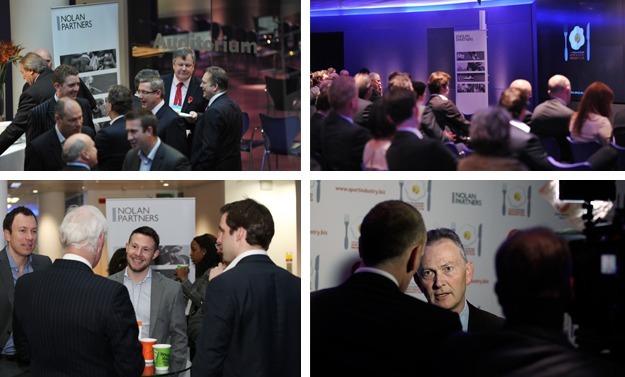 The Nolan Partners Sport Industry Breakfast Club, comprised four enormously successful events each year, bringing together some of the biggest names in the sector. Speakers included Brian Barwick, Chairman of the Rugby Football League and former CEO of The Football Association; David Grevemberg, CEO of Glasgow 2014; Debbie Jevans, CEO of England Rugby 2015 and former Director of Sport for London 2012; Ed Warner, Chairman of UK Athletics; David Collier, Chief Executive of the ECB; Mike Gatting, President of the MCC; Ian Ayre, Managing Director of Liverpool FC; Mark Wilf, Owner and President of Minnesota Vikings; Barney Francis, MD of Sky Sports; Adam Silver; Deputy Commissioner and CEO of the NBA; Ivan Gazidis, CEO of Arsenal Football Club; Richard Scudamore, Chief Executive Officer of the Premier League; Mark Cavendish, 2011 Road World Champion and 2011 Sport Personality of the Year and Barbara Slater, BBC’s Director of Sport and Ian Ritchie, Chief Executive Officer of the RFU. Nolan Partners has also supported a number of other organisations including the Racehorse Owners Association (ROA) Annual Dinner and the League Managers Association (LMA) amongst others.